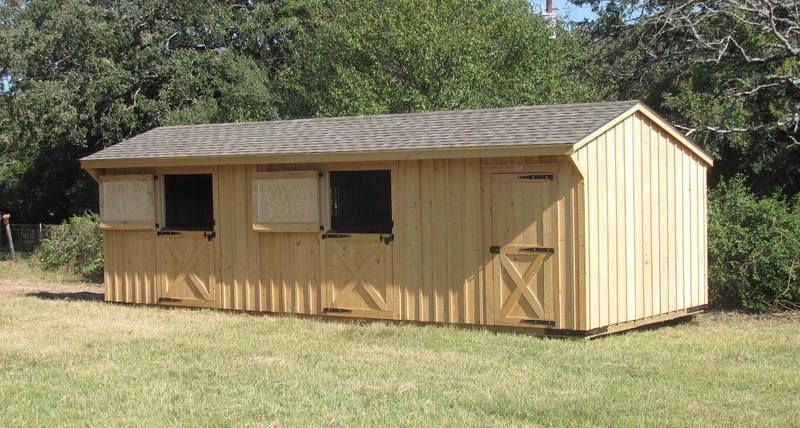 Since the run in shed allows horses to use the space freely and go in and out as they please, a large, portable run in horse shed may provide adequate space for up to 10 horses in a field, with only a few horses using the shed at any given time. 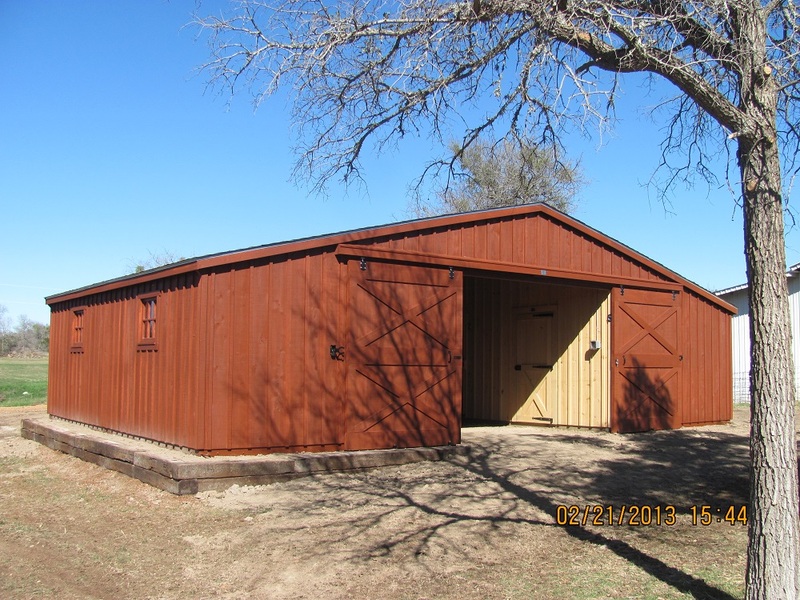 The portable design allows you to relocate the shed wherever needed, providing extra sheltered space when new horses move in or providing a comfortable shelter for new additions to your ranch. 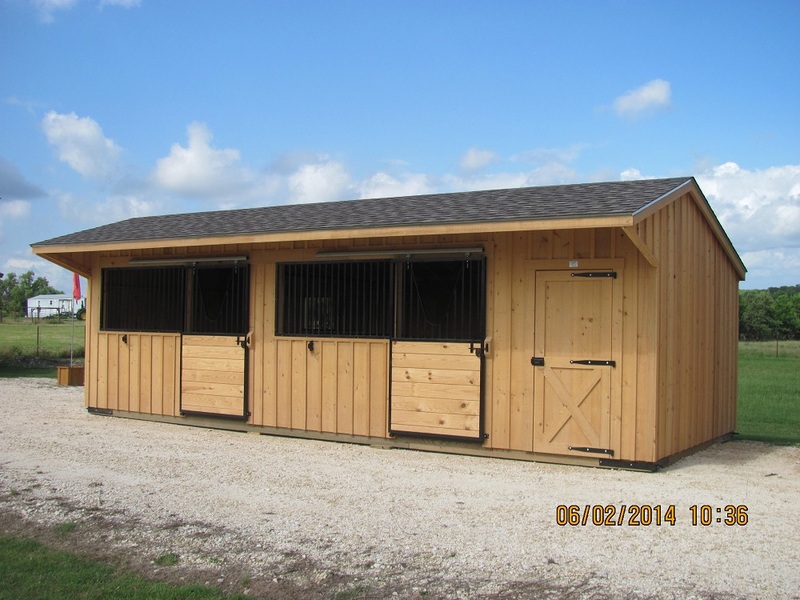 Portable Run in sheds may be used in conjunction with stables and barns or used separately. 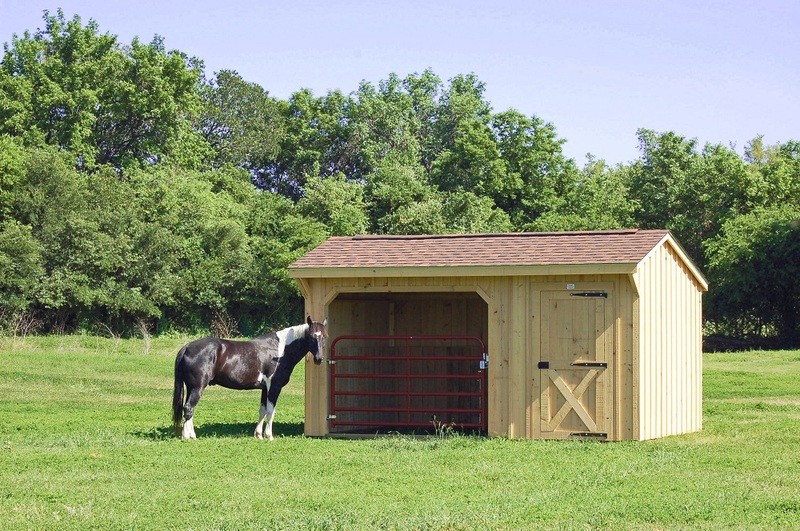 With adequate space, the portable shed is suitable for any breed of horse with any temperament, and may also be used to house cattle, donkeys, goats and other livestock. Sheltered on three sides and open on one side, the horses can enter and leave freely as needed. 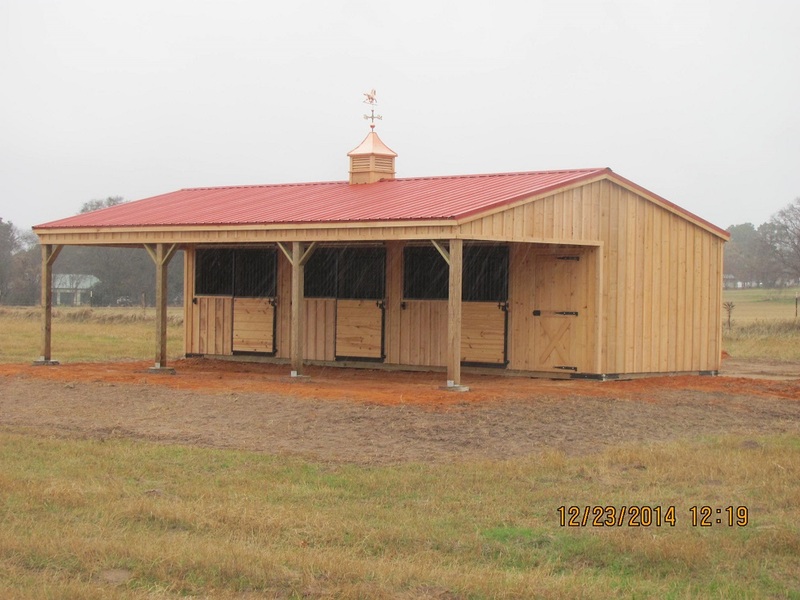 •	When cold weather strikes or rain sets in, the horses running the field can take shelter inside for as long as needed. •	The openness allows them to enter and leave freely, making space for new horses as others leave. 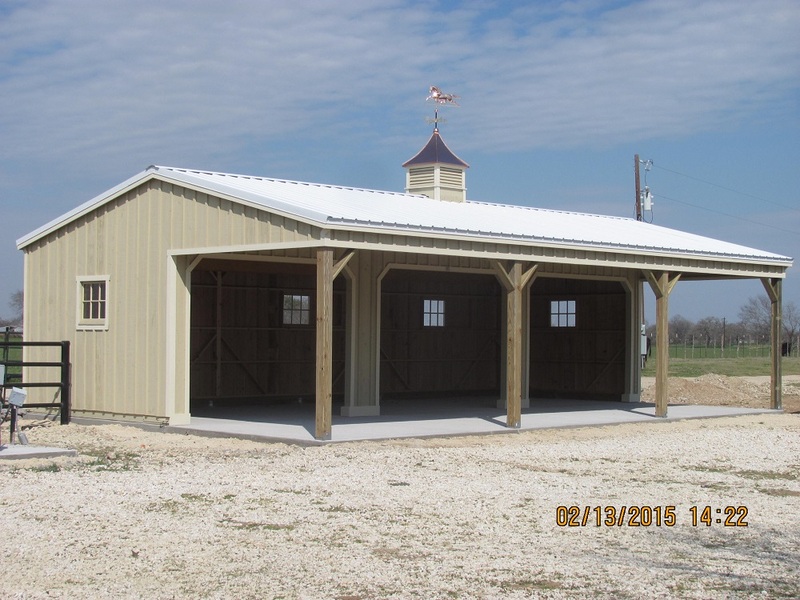 •	If you are currently building a stable or ranch or you have recently expanded your ranch and acquired new land, the portable run in shed is a perfect temporary shelter as well. 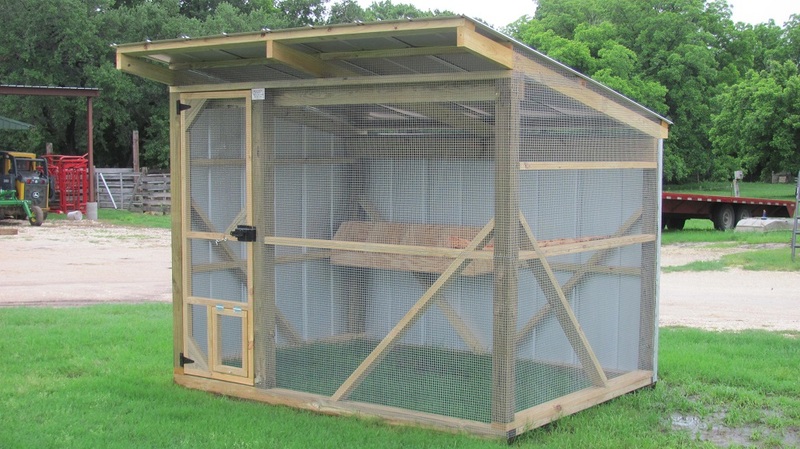 •	The portable run in shed may also serve as a tack and feeding room. 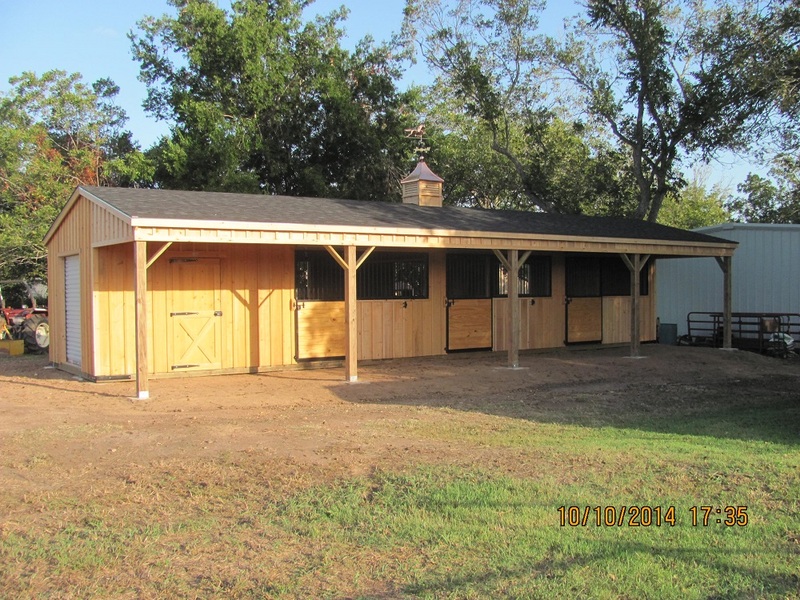 The portable 10 foot horse run in shed is the mid-sized shed available, providing more space for the horses or the rider. 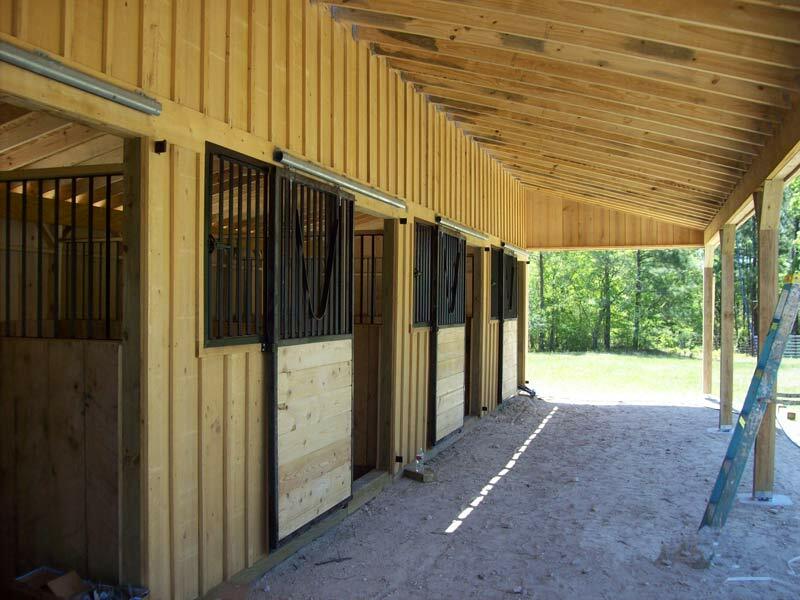 For horses with more energy or for horses more territorial, the extra space may be just what they need. 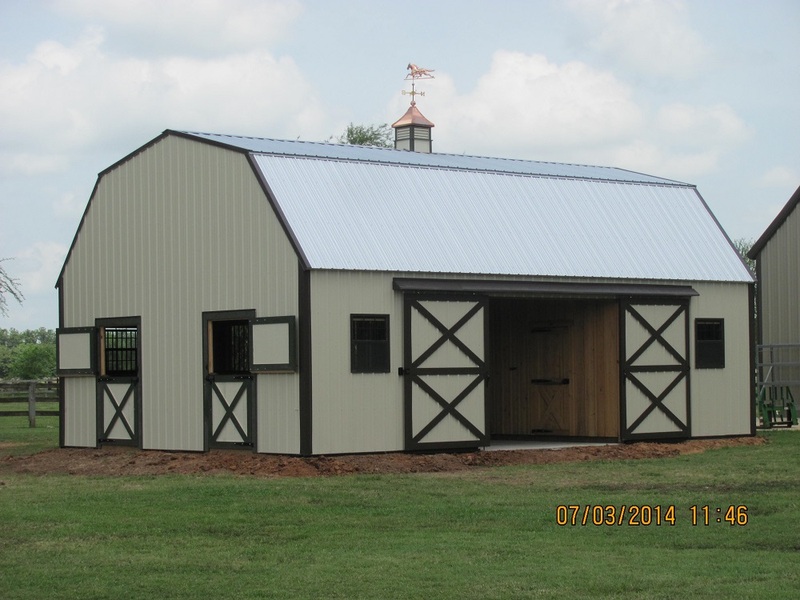 Larger draft horses and warmbloods may also benefit from the extra space. The portable design allows you to move the shed if the area is not suitable or if extra space is needed elsewhere. 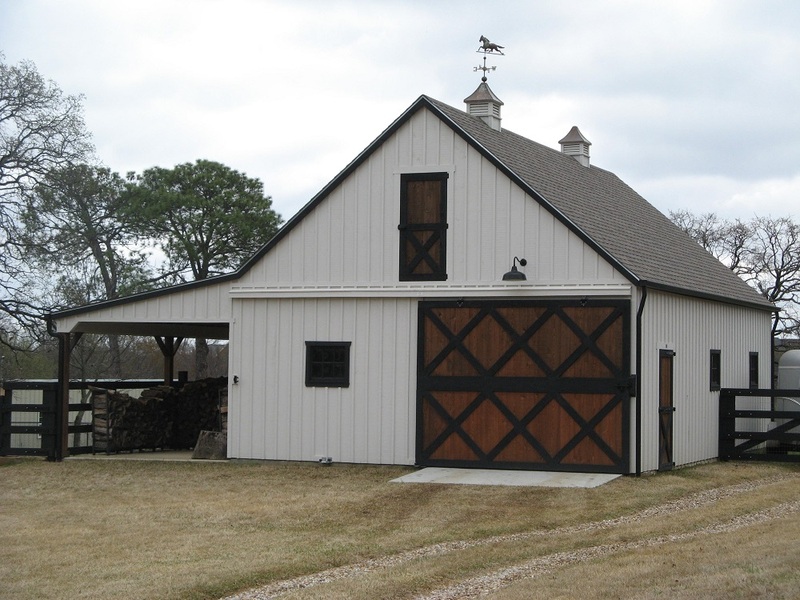 While many portable designs show a crude appearance with metal siding and bars that detracts from the appearance of your ranch, the cypress wood siding and architectural shingles blend into the rustic look and elevate the ambiance and setting of your ranch. The cypress wood is just as sturdy as metal counterparts without the industrial look, and also provides a more natural setting with better ventilation and less risk of injury from kicking. 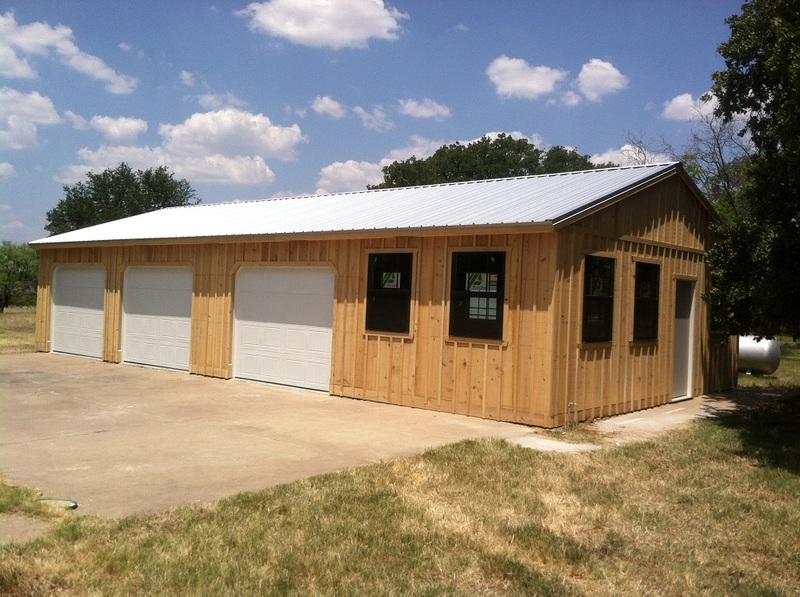 If you have other needs and specifications for your run in shed, Deer Creek Structures is happy to accommodate you. 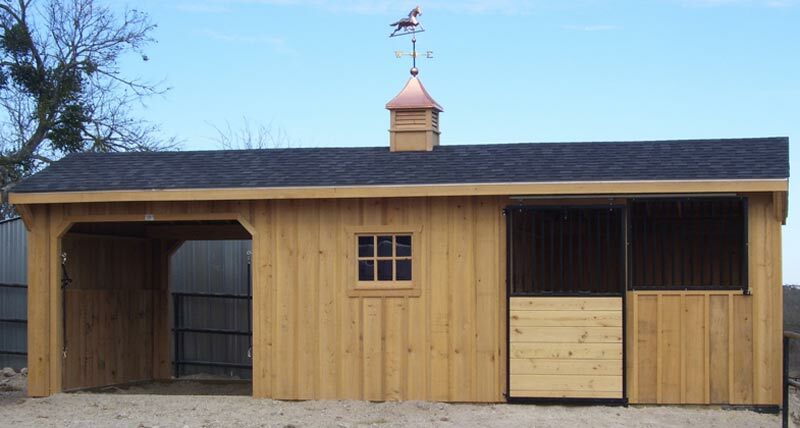 10’ RUN IN HORSE SHED PRICING. FIND YOUR SIZE. 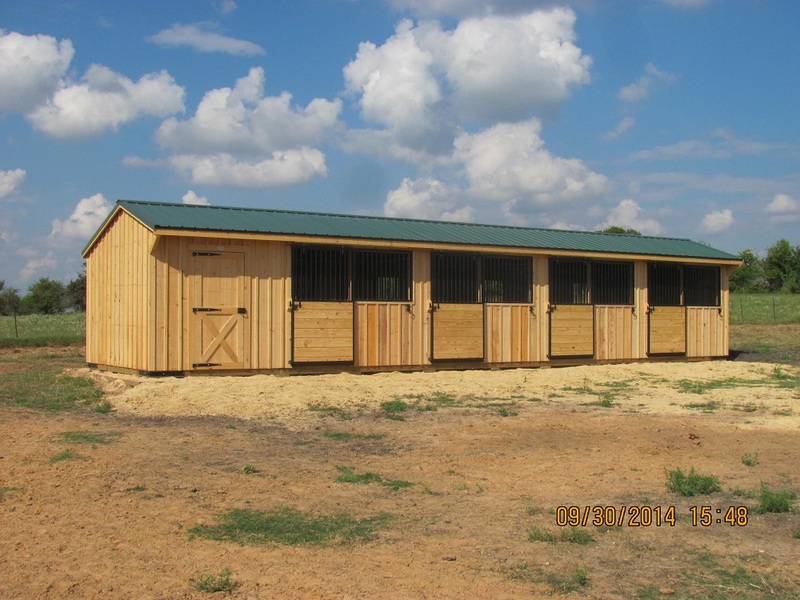 Ready for quick delivery and setup, we have common and popular sizes of horse run in sheds available on our lot. 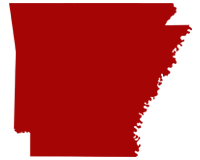 Click the link below to see what sizes are onsite as well as find out pricing and sizing options. 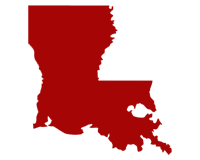 We also understand that you need your sheds to work for you and the specifics of your operations. 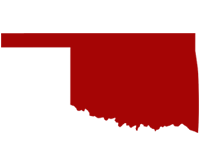 That’s why we also offer a selection of optional features to make your cabin more unique and to match with the needs of your horse farm or ranch. 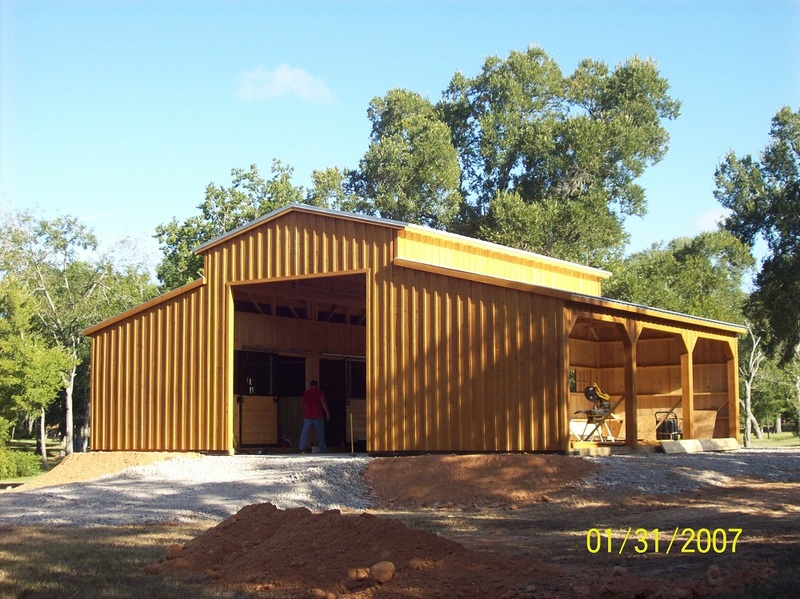 We also offer convenient onsite construction and sealing and staining services to ensure your barn lasts for years to come. 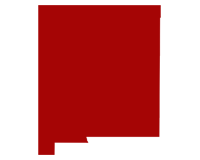 Free delivery is also included in your purchase price to locations within 300 miles of our headquarters in Chilton, Texas. 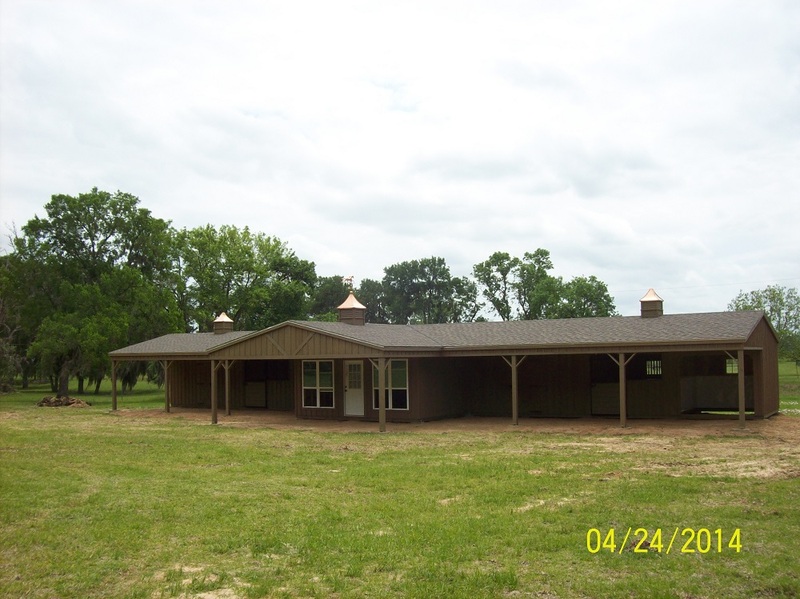 Being centrally located in Texas give us the ability to deliver run in horse sheds to neighboring states. 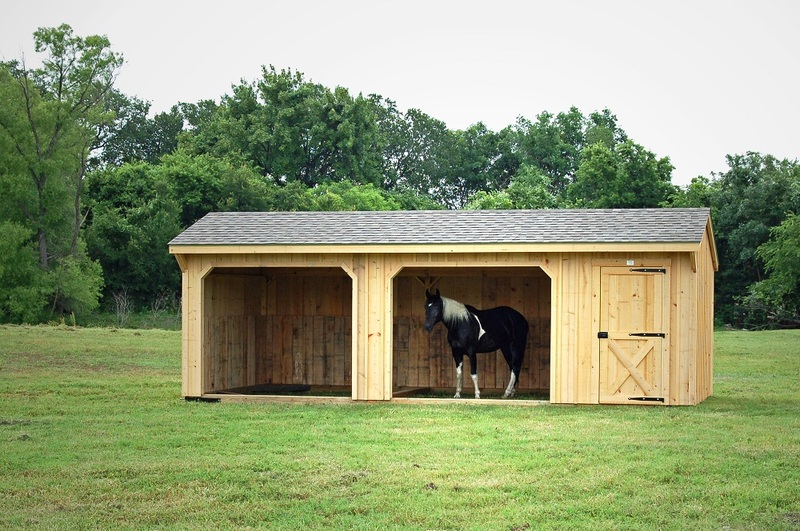 Click your state below to see how one of our portable run in horse sheds can improve your property.